Winter weddings are PERFECT for the bride who wants a moody, romantic candle lit wedding. I have the privilege to execute several winter weddings in 2018 and could not be more excited for them! 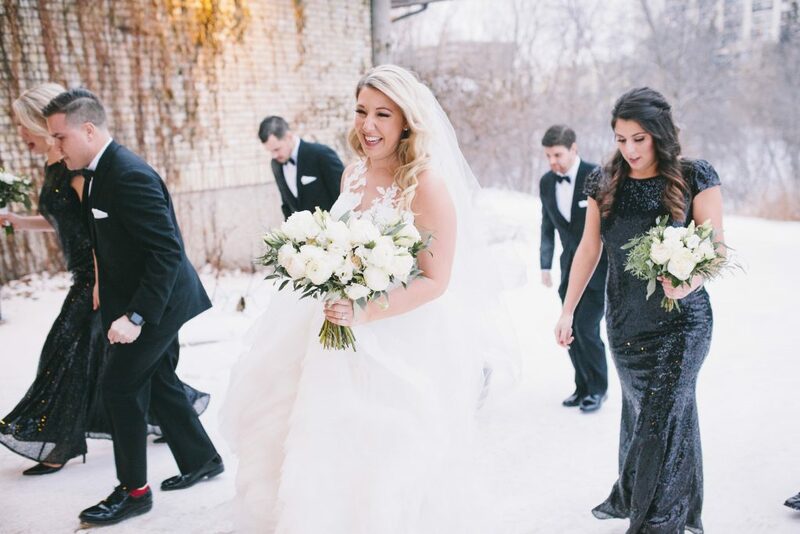 For all those 2019 / 2020 brides thinking about having a winter wedding, here’s five things to consider when planning a winter wedding in Winnipeg! November: Early November can still feel a bit like fall. So if you want a Winter wedding, hold off until the last two weeks of the month. December: Choose dates after Christmas and don’t be afraid of hosting a New Years Eve wedding! People want to celebrate, so why not have them celebrate with you! January / February: Most people are back from winter holidays at this point. If you want the most amount of people to attend the wedding, then these months are a safe time to get married. Fresh flowers are one of my favorite parts about weddings! The smells, colours and textures, ughh it’s heavenly. However, the one time I will suggest ordering silk flowers is if your winter ceremony or wedding photos will be outside. Most flowers don’t do well in the cold and will start wilting if left outside for too long. Even if your bouquets and boutonnieres are silk don’t worry, your floral arrangements for the ceremony and reception can still be real! Since Winnipeg gets so cold in the winter months, your ceremony will most likely take place inside. However, if you do choose to host an outdoor ceremony please ensure your guests are told in advance so they can dress appropriately. Have blankets or a hot drink waiting for them when they arrive. Who could say no to cup of hot chocolate? Depending on the size of your wedding, rent 4-6 heaters for guests. And last but not least, keep your ceremony short! No one wants to sit out side for longer than 15 minutes in minus 10 -20-degree weather. I can’t stress this enough, but please please please book an indoor photo location apart from your reception venue. Both your wedding planner and photographer can help you find a spot that matches your style. If you do want a couple of outdoor photos, ensure everyone in the wedding party is prepared with warm clothes. There’s nothing worse than catching a chill on your friends wedding day. Make sure everyone has a warm jacket, mitts, and comfy slip on winter boots. Ugg’s are perfect for this! If you’re a Winnipeg, you know that our winters are cold and we have a little amount of daylight. One thing to consider, is how important photo with natural sunlight are to you. If natural light is important to you, consider bumping up the ceremony time. In late December the sun sets around 4:30 PM, so if you want natural light for your ceremony it would be wise to have your ceremony by 3:00 PM at the latest. When you envision your wedding day, is it in the winter? 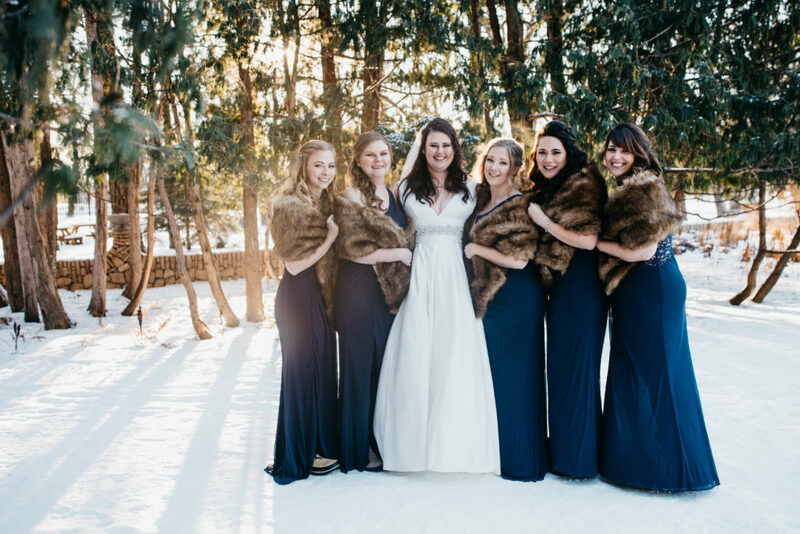 If so, please keep in mind these five tips to planning a winter wedding. Your wedding planner will also be able to help you with all the smaller details that often get forgotten. 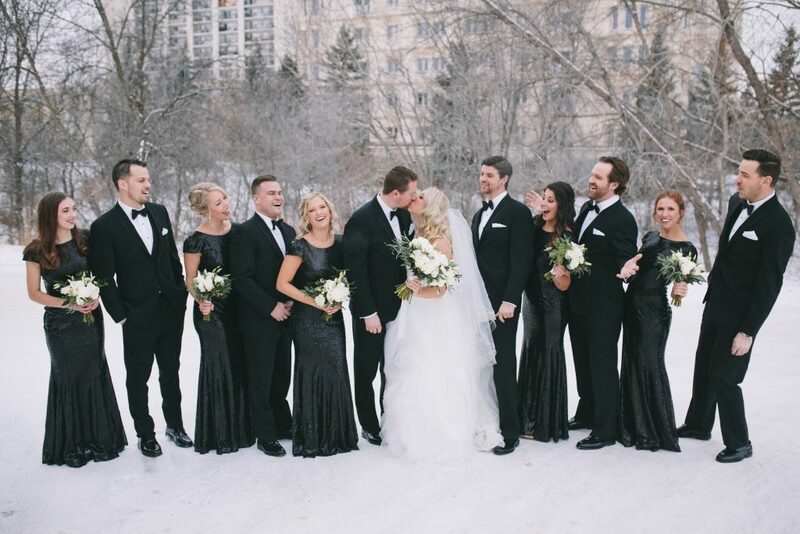 CONTACT Alex and her team at alex@alweddingswinnipeg.com to learn how to plan the perfect winter wedding!